On Wednesday, Public Interest Leader Chris Saccardi (The Law Office of Christopher T. Saccardi ) led the fourth workshop of the Community Reentry Readiness Program series which covered the topic of housing. With 21 federal probationers in attendance, the session shed light on housing rights and resources available in order to mitigate some of the civil legal issues often encountered by probationers during reentry. 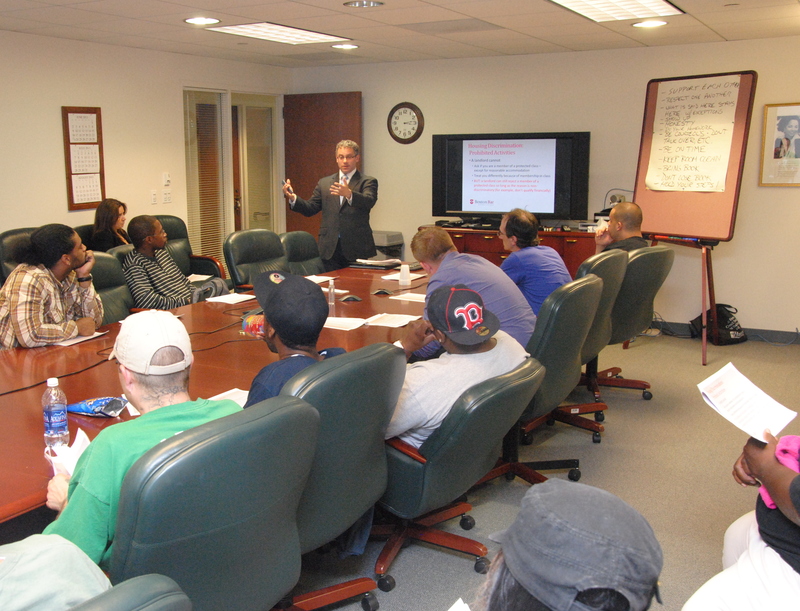 Chris Saccardi (The Law Office of Christopher T. Saccardi ) delivered the fourth module of the Community Reentry Readiness Program on housing rights and resources. The next session will cover the topic of Financial Literacy. PILP’s Brendan St. Amant (Donnelly, Conroy & Gelhaar, LLP) will be delivering the lesson on August 7th.